In preparation for our upcoming season, Riverfront will be holding our second annual car wash this month. 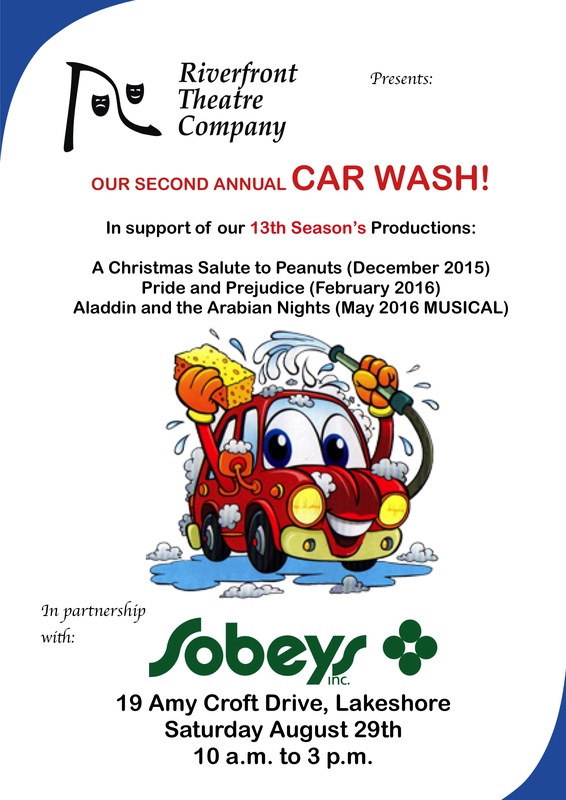 We’re very grateful to Sobey’s for their continued support in hosting this event! We look forward to meeting you, cleaning your car, and telling you all about our upcoming season! Please be sure to come out and get your vehicle squeaky clean! Previous: Previous post: Registrations going out at the end of this week! Next: Next post: Things are definitely getting going now!